In as much as there are valid reasons for the inclusion of peptides in the formulation of various skin care and anti-ageing products, their ability in the functioning of such products is always exaggerated. 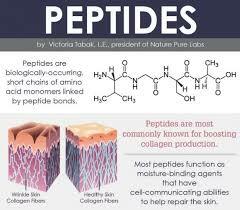 It should be known that peptides are not the green pill for anti-ageing that most people have been led to believe. If you have always believed that using peptides is the magic you need to maintain a youthful and never-aging skin, then you have been believing a lie for so long. It is even startling to observe that there are malicious claims that it is now possible to use peptides as a replacement of some of the cosmetic procedures performed by doctors. This is pure nonsense and will never be possible even in a thousand years to come. 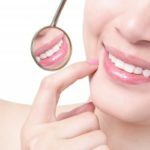 However, the most exciting thing about the use of peptides in skin care products is their ability to help the skin become more resilient and remain revitalized. For helping the skin stay revitalized, copper peptides has always been one of the greatly hailed ingredients. However, does it merit the acclamation of a super ingredient it has been getting all this while? This claim was started out of the fact that that skin needs copper as one of its building blocks. So the logic follows that copper peptides would be the most ideal in helping the skin become more revitalized. Indeed, it is true that copper peptide can actually do as claimed, but there are also other different types of peptides which can to do the same thing, and sometimes better than the copper peptides. Consequently, there is nothing special about copper peptides for skin care, as there are other peptides with equally potent anti-oxidants that can cause dramatic positive effects on the skin.